The new California Chalice Wine is HERE!!! 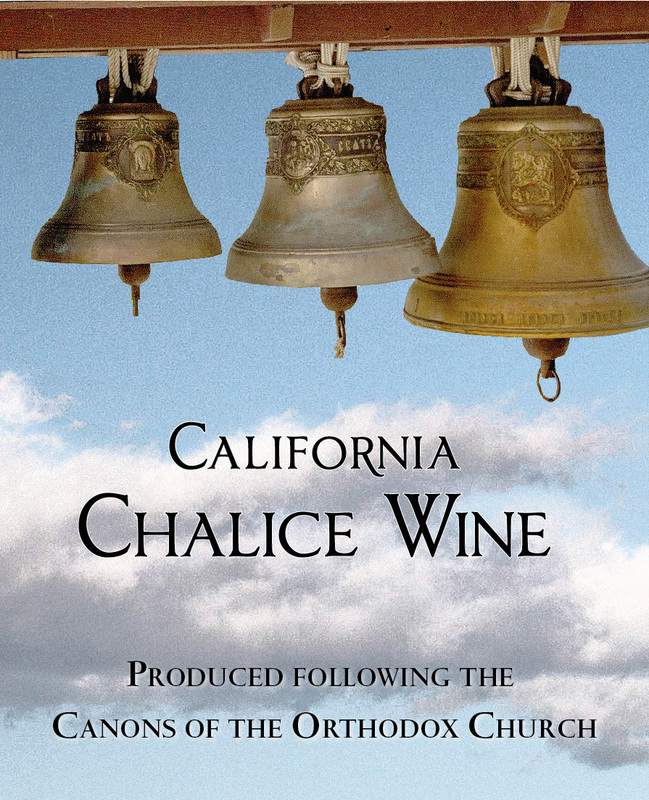 The new California Chalice Wine is HERE! We are very excited to provide this quality chalice wine with the new labels! However, we also have plenty of Premium Kagor Chalice Wine available! Please contact us to purchase either of these fine wines. and St. Simeon Russian Orthodox Church, through the non-profit company Calistoga Orthodox Wines. The 2014 vintages of our Premium Kagor Chalice Wine and California Chalice Wine are available NOW! For more information on our wines, or to order, please contact us at orders@calistogaorthodoxwine.com or (707) 942-4658. As many of you know, Fr. Joakim had to step away from his role in COW for personal reasons, leaving the running of COW in the hands of the sisters. We are enjoying learning more about the ins and outs of the wine business. It is such a fascinating combination of business, science, and art. We do have some 2014 Kagor and Standard Chalice Wines left to purchase from two excellent vintages. So, stock up before the 2015 vintages are released. To order, please email orders@calistogaorthodoxwine.com or call 707-942-4658. And stay tuned for updates on the 2015 and 2016 vintages!